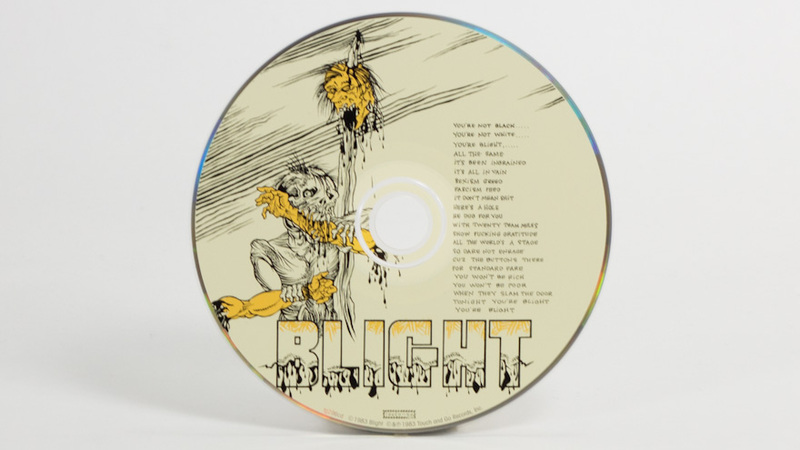 Short lived but influential band from Detroit featuring Touch and Go Records founder Tesco Vee of Meatmen fame and Steve Miller formerly of The Fix. 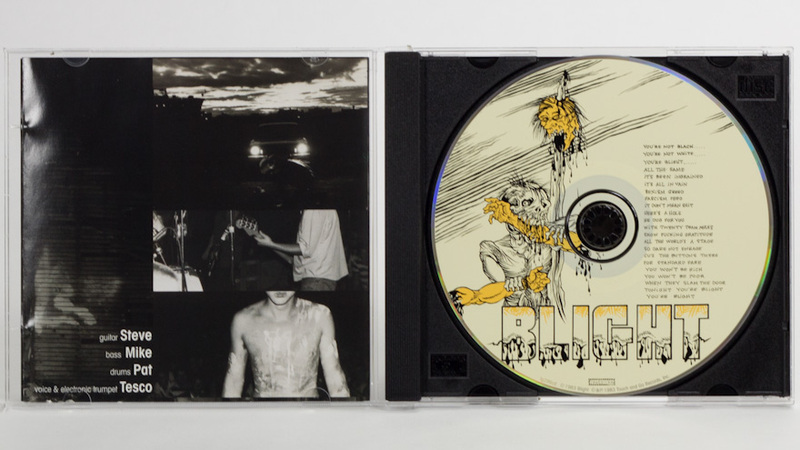 Cover art features photos by Ewolf. Metallic bronze ink used for the band name. On occasion, I’d hear the comment that I shot “too pretty,” that my photos made people or things look too polished. That ran counter to the punk aesthetic (did it?). 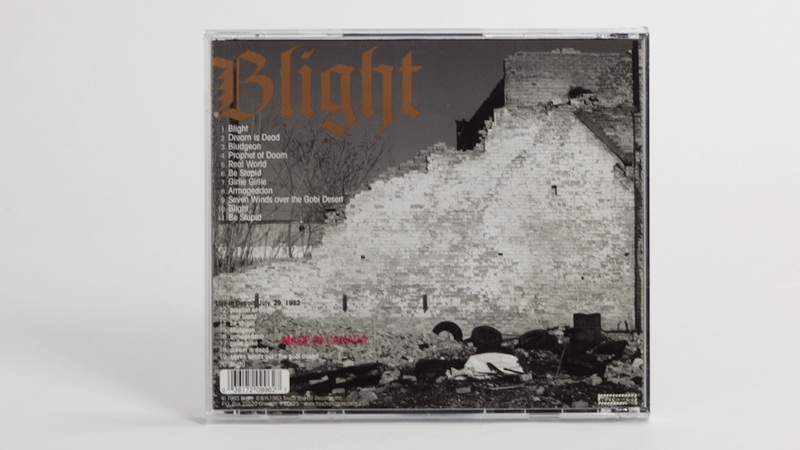 I was a little concerned, therefore, when asked to shoot the Blight cover that I could come up with something in the spirit the band intended. Finding the subject was easy enough. 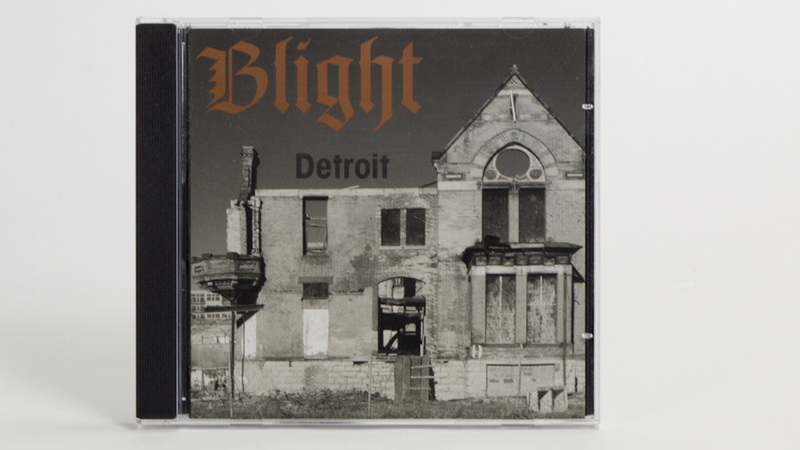 After all, this is DETROIT, the blight capital of the world, after Hiroshima was rebuilt.